With Propecia/finasteride 1mg tablets hair growth usually starts to improve after three months. Two thirds of men who take Propecia/finasteride 1mg will benefit from renewed hair growth. Propecia is now available as a generic at lower cost under it’s medical name finasteride 1mg. Men’s hair loss: what are your options? A common concern for many men, hair loss occurs when the hair follicles stop producing hair growth. Known as alopecia, it is particularly a worry for men, who often see a loss of hair as an unwanted sign of premature ageing. Propecia from Boots – is it the cheapest option? No. While Boots is the most ubiquitous high-street pharmacy in the UK, it is often not the cheapest option for many medicines, and not for men requiring Propecia to treat male pattern hair loss. Currently (February 2017) Boots sell Propecia tablets for £1.13 each – this is for branded Propecia from Merck. Boots do not offer the lower cost generic version of Propecia called finasteride 1mg via their online doctor service. now available from 38p per day. Finasteride 1mg is used to help prevent and restore male hereditary hair loss. In clinical trials, hair growth usually starts to improve after three months of taking finasteride 1mg tablets. Two thirds of men will benefit from renewed hair growth. Maximum benefit is seen after two years. Generic Propecia (finasteride 1mg) was licensed in the UK in October 2014, although initially at a high cost similar to Merck branded Propecia. Hair loss can be a traumatic, whether it happens rapidly or over the space of years. For some, it has to do with more than just losing hair, it can be about losing an important part of identity. There are a number of treatments to help combat hair loss. Once you begin to investigate you will inevitably start to hear about Propecia. 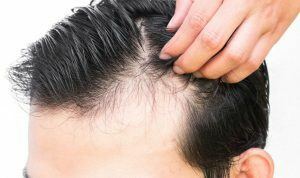 This pharmacological treatment has helped plenty of men over the years to have renewed hair growth with minimal side effects, but it is not a miracle cure. Read on to see if Propecia has the potential to meet your expectations. The UK patent for Propecia, a hair loss treatment for men, expired on the 11th Oct 2014. A few days later ‘generic Propecia’ or more accurately ‘generic finasteride’ became available from UK pharmacies. A generic medicine is a medicine which is the same as a branded original, but is prescribed and supplied by its medical name, rather than its brand name. Propecia is a brand name. The active ingredient of Propecia tablets is finasteride 1mg. Propecia tablets and finasteride 1mg tablets are medically the same. Dr Fox supplies both branded Propecia tablets from the drug company Merck (MSD), which held the original patent, and lower cost generic finasteride 1mg tablets, which other drug companies have made available since Merck’s UK patent expired.